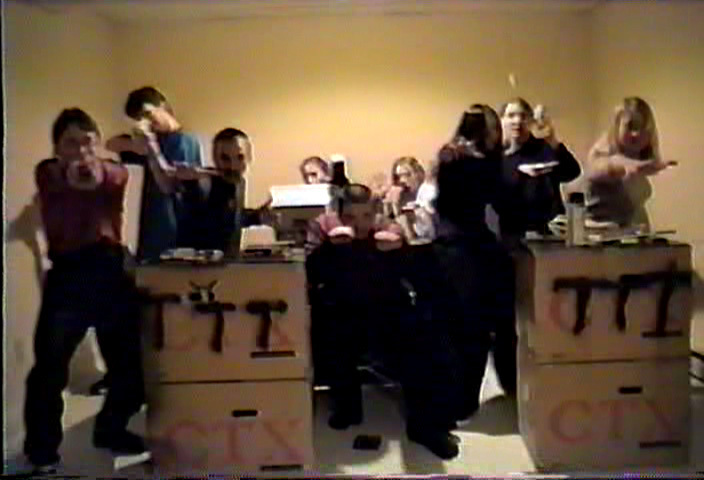 The Crew of the TTT-1024 Entersurprise. From left to right: Dale Strickler, Ensign Expendable. Aaron Hendren, Security Officer. Ted Stoltzfus, 2053. Daphne Stoltzfus, Ensign Check-the-Charts. Dave Casey, Captain Jean-Puke Retard. Evan Woolley, Scottish. Kathie Hendren, Medical Officer. Graham Woolley, Word. Alexis Gates, The Princess.